Every child is good at something and as parents we love seeing our children do well. Bilingual children have an added advantage in different situations in their lives – and they often get really good, and – depending on their personality – sometimes cheeky with their language skills. Children in multilingual families often grow up to become fluent, native-like speakers of the language of the community they live in – and do end up correcting their mums and dads! I have certainly been on the receiving end of this since we moved to England – and I am very thankful for it … really, honest! Bilingual children on average do better than their monolingual peers at school. Long gone is the myth that speaking more than one language will confuse a child and detract from learning other school subjects. Children growing up acquiring many languages don’t find it unusual or even that special to speak two, three, four or even more languages. It’s just part of their normal daily lives. While they themselves don’t think that speaking many language is a great achievement, adults do find their skills amazing. Especially those who have tried to learn a new language themselves as adults find it difficult to get their head around a five-year-old confidently switching between three languages. Bilingual children get a “free ride” if one of their languages is a subject they have to study at school – you may think that your kid is using this time to learn something new, but actually, they are just enjoying a class where they can do well without much effort at all. I remember myself relaxing during the Finnish lessons at my Swedish-speaking school. Adults tend to forget that children can be bilingual, and children may well pretend not to know a language … and then secretly listen in on conversations. Remember this when you next time say something in your language when you are out and about. Bilingual siblings have the advantage of having a common secret language when they are among monolinguals. Not only does this help to convey “important” messages between them, but it also adds to their bond with each other and the language. Language is an important part of every person’s identity and parents would normally want their children to learn the language they themselves have grown up with. Experiencing your child switching languages when speaking to different relatives in the extended family fills your heart with joy and pride. Thanks to how bilinguals use their brain when speaking more than one language and switching between them they have found to be more creative, more open-minded, more flexible in their thinking and culturally more aware than monolinguals. Fantastic attributes to look forward to in the bilingual adults our children grow up to become! 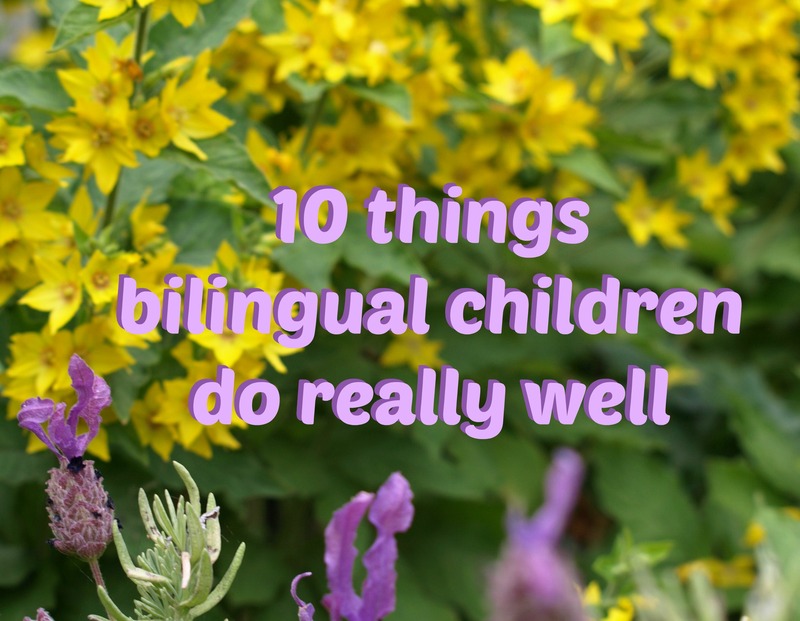 Great list Rita – I sometimes wish the boys weren’t bilingual so I could speak French in front of them and they would NOT understand what I was saying! My kids love to use it as a secret language:). My son corrects my Maori language haha.